We have thousands of quality military antiques and collectibles for sale. We have original WWII Samurai swords as well as samurai swords from earlier periods available for sale. CLICK HERE to check out our inventory. Never touch a blade with your bare hands. Our hands contain oils which will rub off onto the blade in the form of finger prints, which will then form rust. Use a soft cloth to hold the blade. Check to make sure the blade is straight by picking it up to eye level and looking at it from the handle to the tip of the blade. Hand made blades don't normally break but rather bend. This is due to the multiple layers of metal created during the manufacturing process. Swords have appreciated considerably over the last fifteen years and it is getting increasingly harder to obtain them. Especially at a reasonable price. The quality of the blade and general condition of the sword are the most important factors in determining its value. Always go for quality rather than quantity. Sword collecting is a fun activity and an investment. Swords also make a good addition to the decor of a home. We hope you find the information contained on this page useful. If you are looking for swords as an investment and are torn between buying a newer (WWII era) or older (1800's on down) the best thing to do is to figure out which attracts you the most and stick to that. While currently the WWII era appears to be in more demand, not that long ago it was the older blades that were going up in value. This section is dedicated to provide an in depth view at various topics that directly relate to the history of the Japanese military forces. JAPANESE SAMURAI SWORD HISTORY This section provides information about the different periods of the sword. A brief description of the history of Japan is also discussed. SAMURAI SWORDSMITH SCHOOLS The sword makers are a crucial component of the history of the Samurai. This section provides information about the various schools that trained swordsmiths. SAMURAI SWORD ANATOMY This section of the web site provides a break down of the sword and the names given to each component. SAMURAI ARMOR ANATOMY The Samurai armor is a very unique piece of equipment used by the warrior. This page provides the visitor with a break down of the anatomy of the armor along with a brief history of its use. SAMURAI ARMOR - MODERN REPLICA The Samurai armor is a very interesting piece of history. Its intricate construction required very skillful craftsmen to build. The armor featured here is a well made copy of the Samurai armor. SAMURAI HELMET ANATOMY The helmets worn by the Samurai were a very distinct component. Similar to an indivisual's signature. This page discusses its history and anatomy. READING SAMURAI SWORD SIGNATURES The Samurai sword was often signed by the master who made it or the factory it produced it. This section provides an understanding of how to interpret the signatures. JAPANESE BLADE MARKINGS A comprehensive study of the different military markings stamped on the Japanese blades. From the Samurai swords to the bayonets. The Samurai swords are often signed on the tang of the blade. This section of the website explains the basics of how to read the signatures. The Samurai sword makers produced many fittings to make the sword more attractive. Among these items are the Menukis. This page provides information about these ornaments, including very detailed close up pictures of each piece. 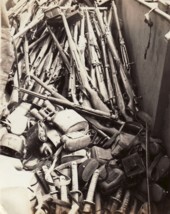 After Japan surrendered there was a large cache of weapons and equipment that was captured by the Americans. Some of the items were brought back by GI's as war souvenirs. Others were destroyed. This photographed was taken by Clinton O. Daly. While he was in the Mariana Islands he got to witness barges being filled with Japanese weapons and equipment, they were floated to the deep waters of the lagoons where they were sunk. The art of the Samurai still lives on today in the practice of Kendo. This Martial Art teaches the students the ancient techniques of sword fighting. There are basically four striking points allowed in a Kendo match. Using the bamboo sword the fighters can strike the top of the head, the wrist, the ribs and a straight thrust to the throat. All of this areas are protected by an armored structure whose components include canvas, wood and metal. Kendo matches are very lively and action packed. Fighters move swiftly striking with deadly accuracy as they yell the name of the technique they are executing. This action is reminiscent of the begining days of the Samurai warrior where opponents at war would face each other and yell out their resumes (name of school where they learned to fight, family name, number of battles, etc.) as they charged towards each other with sword in hand. Do you have a person for whom you wish to purchase military antiques but you are not sure what to get? No problem. We have gift certificated available. 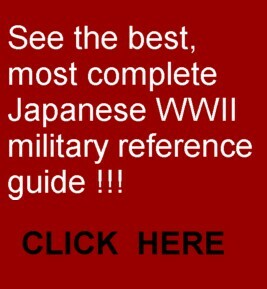 JAPANESE MILITARY ANTIQUES AND COLLECTIBLES IDENTIFICATION AND PRICE GUIDE - Welcome to the Japanese WWII Military identification and pricing reference guide. This page is sponsored by MilitaryItems.com in an effort to provide the current and future militaria collector with free information. The field of military antiques and collectibles is growing. Some people get involved in the field out of their passion for historical items. Other individuals happen to come across military antiques by pure chance. sometimes items are purchased at yard sales, flea markets, etc. Other times a person may inherit militaria from a relative. Regardless of its point of origin, this website can provide you with information that will help you identify the items, and in many cases, find the value of the item. To navigate our website with more ease you may use our maps. The most legendary sword in the history of the world is the Samurai sword. This weapon holds an almost magical aura about it. The sword was so revered by its owner that it was often called the "soul" of the Samurai. He did not go anywhere without his sword. The warrior tradition remained fairly untouched even through WWII, where the soldier carried the sword to battle just like his ancestors did many years ago. After WWII, US Soldiers brought back an estimated 250,000 to 300,000 swords back with them. 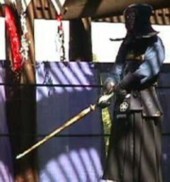 This section of the web site is dedicated to providing detailed information regarding the Samurai sword. It provides the visitor with a way in which to identify a sword and determine its value in the market, answering one of the most common questions asked: How much is my sword worth? More swords are available for viewing. The Samurai swords of Japan constitute one of the most sought after edge weapon collectibles in the world today. The air of mystique and marvel which surround this artifacts date back to the 1500s. Many of these swords made their way into the United States when GIs brought them as war souvenirs at the end of WWII. Japanese soldiers took their family swords to battle with them, in very much the same way the shogun did hundreds of years before. If a soldier did not have a family sword or did not want to take it, the government would provide him with a machine made sword. 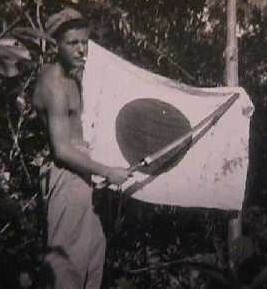 After defeating the Japanese battles throughout the South Pacific, GIs would collect the swords from the battle field and send them back home. Unfortunately, many of these swords were used as tools for working around the yard, which would damage the blade severely. Many other swords met a fiery end at the hand of foundry workers who were ordered to melt them at the end of the war or during the last days of the war when the Japanese military was running out of metal. This section is dedicated to discuss the value of Japanese Collectibles such as bayonets, knives and military swords outside of the Samurai category. Most of the samples shown here are for the WWII period. However, blades from other eras are also featured. 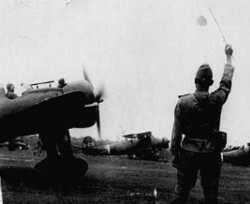 The Japanese forces during WWII manage to conquer most of Asia. The uniforms they used were very different from the style employed by Germany and the US. Much of the lineage derived from the Samurai warriors was reflected in the design of their war apperal. This section provides a free pictorial guide of various Japanese uniforms used by the Army, Navy and other armed forces. This information helps identify military collectibles. It also contains information regading the value of Japanese military uniforms. The Japanese forces during WWII manage to conquer most of Asia. 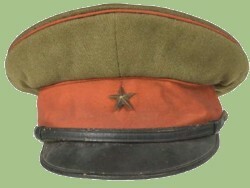 The hats and helmets they used were very different from the style employed by Germany and the US. Much of the lineage derived from the Samurai warriors was reflected in the design of their war apperal. This section provides a free pictorial guide of various Japanese headgear used by the Army, Navy and other armed forces. This information helps identify military collectibles. It also contains information regading the value of Japanese military hats and helmets. The orders ans medals of the Japanese empire were formally established in the mid 1800's. The symbology used in the awards is very intricate and interesting. This section of the site is dedicated to reviewing the history and meaning behind the medals and awards. This page contains information regarding various military items employed during WWII. Japanese military items are not as readily available as items from other countries. Part of the reason is the fact that the Japanese did not have a great abundance of resources their military items are not as well built as those produced by the Germans. In addition, as the war approached its end, the Japanese melted many of their helmets and other metal pieces to produce ammo and airplanes.